Described as a "significant role," Laura Harrier (One Life to Live) has joined the cast of Sony/Marvel's 'Spider-Man: Homecoming.' 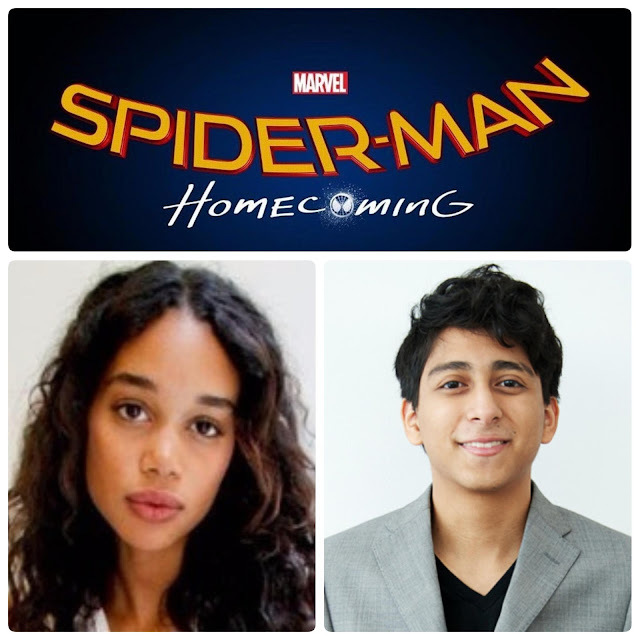 Also, Tony Revolori (Dope) has been added as Peter Parker's high school nemesis (but not a villain) named Manuel. With Tom Holland debuting as Parker/Spider-Man in May's 'Captain America: Civil War' and has already been critically applauded as the "best cinematic Spidey to date," the Jon Watts-directed solo film continues to fill out its casting sheet. Marisa Tomei will play Aunt May, Zendaya will play a character named Michelle, and talks have reportedly started taking place with Michael Keaton (Batman) to be the film's major supervillain. The movie takes Parker back to his comic book high school roots starring an age appropriate Holland. Revolori starred as Ralph Fiennes’ sidekick in the Wes Anderson-directed Grand Budapest Hotel, co-starred in the indie hit Dope, and will next be seen in Lowriders, releasing June 1. Spider-Man: Homecoming arrives in theaters on July 7, 2017.